This opportunity is available to an individual who lives in Stanislaus County and is able to meet eligibility requirements. Qualified and eligible applicants will receive career training and job placement assistance at *no cost! 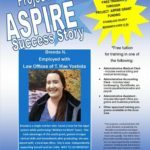 For over 14 Years, Project Aspire has offered this program to young adults in Stanislaus County. This is an amazing opportunity for individuals to significantly enhance their skill set or to gain work experience with the goal of employment. 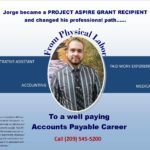 Job placement assistance available for all Project Aspire participants. Other approved training programs available in the local area. Not all programs offered by the college are included in this opportunity. Other financing options are available. The work experience program is an opportunity for young adults with little to no work history to gain real-world job experience while earning income. 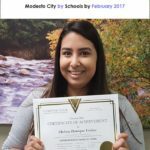 To find out if you are eligible for this amazing opportunity or to get additional information, please call us at 209-545-5200 or fill out the request a call form on the right of this page. We look forward to hearing from you. This could change your life…..